You don’t need to play a tier 1 Modern deck to win a major tournament. 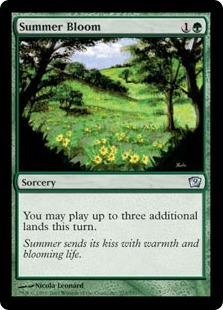 Michael Malone knew this back in June when he led his company of Elves to victory in Charlotte, taking down a field of Affinity, Burn, and Jund. Gerard Fabiano’s Sultai Control was another entry in the list of rogue tournament finishers, stealing SCG Baltimore from Seth Manfield’s UR Twin. As we look back on Modern throughout 2015, we’ll remember these finishes as some of the bolder performances of the year. What was the boldest? We still have a few more major events left in the year, but it is unlikely that any of their winners will top Zac Elsik’s GP Oklahoma City win at the helm of Lantern Control. The synergy between Lantern of Insight, Codex Shredder, and Ensnaring Bridge undoubtedly stole the show over the weekend. But as anyone who checked out the Day 2 metagame breakdown and the Top 32 knows, there was much more to GP Oklahoma City than just BBD’s Deceiver Exarchs standing on one side of an Entangling Bridge while twiddling their claws. These data sources are a rich trove of metagame information, and this article breaks them down into the three biggest takeaways from the Grand Prix. I remember a time in Modern coverage history when I was happy to get a Top 16, let alone a Top 32 and a detailed Day 2 metagame breakdown. GP Oklahoma City had it all, except, of course, for a full Day 1 metagame description (one of these days, Wizards? Please?). This is a great opportunity for us to see how decks did between the start of Day 2 and the end of the tournament. Of course, without that elusive Day 1 information it’s impossible to know whether those Day 2 decks were themselves over or under-representing the Day 1 metagame shares. We can live with that: if anything, the Day 2 to Top 32 conversion is more important because we’re looking at better players with better decks. The table below shows Day 2 and Top 32 shares for all decks with four or more appearances (2%+ prevalence) on Day 2. Although the decks with three or fewer showings are interesting (Lantern Control is one of them), it’s hard to draw metagame-wide conclusions from their performance. This is both because the sample size is a bit small, and also because the decks include lower-tier examples that don’t fit well into our overall tier 1/tier 2 metagame picture (decks like Storm, Living End, and Domain Zoo). We’ll stick with the 2%+ decks for now, looking at their tournament shares, their conversion rate from Day 2 to the T32, and the difference between the Day 2 and T32 shares themselves. This gives us a few different metrics to analyze deck performance at the GP. You’ll note that these numbers don’t align perfectly with the Day 2 breakdown in Wizards’ article. I’ve combined a number of decks where necessary: there’s something to be gained by Wizards’ separation of”Hangarback Affinity” from “Affinity”, but not at a metagame analysis level. This leads to some confusion with Grixis Control and Grixis Midrange. The two “Grixis Control” decks in the Top 32 are much more midrangey than controlling, with no Cryptic Commands and a much more proactive gameplan than even the Angler/Tasigur-powered Control deck normally leverages. Before we get into the big three takeaways from this table, here are some general observations about the GP. The top five Day 2 decks at GP Oklahoma (Affinity, Jund, Infect, Burn, Merfolk) are almost identical to the top five decks in the overall metagame as per the 8/1-8/31 metagame breakdown article (Burn, Jund, Affinity, Grixis Control, Merfolk). The only exception is Infect replacing Grixis Control at the GP. This shift reflects both the anti-Grixis trends of Worlds, and also the recent success of Infect at events like SCG Cincinnati. As for those unstoppable robots, anyone who is surprised by Affinity’s dominance either missed Worlds 2015 or my article reviewing the event. I’ll return to this one later as it’s one of the biggest takeaways from the GP. Of decks with 4+ showings on Day 2, no deck did better than a 50% conversion rate between the beginning of Sunday and the posting of the Top 32. Relative to the starting Day 2 shares, Naya Company had the best conversion rate (50%) with eight Day 2 showings sending four players to the Top 32. Infect had the worst, with its 7% Day 2 share converting to a flat 0% in the Top 32. By a similar token, Naya Company had the best share improvement between the two datasets (over-representing its 5% Day 2 share as a 13% Top 32 share), while Infect had the worst (7% for one, 0% for the other). Jund had a similar Day 2 story to Infect, seeing an initial 11% Day 2 share crash to 5% in the Top 32. Jund was also underrepresented in that Top 32 by about eight percentage points. Abzan had fewer Day 2 showings than Jund but a much more average conversion rate: Siege Rhino and friends sent one of their five pilots to the Top 32 for a 20% conversion and an expected 3% share of both Day 2 and the Top 32. We’re going to need more metagame data to know if a true Jund-to-Abzan shift is underway, but preliminary September data is already pointing to a Rhino comeback. Unfortunately for Abzan mages, GP Oklahoma City might slow that trend. If the format shifts too heavily away from Grixis (as we saw over the weekend), BGx mages might want to stick with Lightning Bolt over the Tasigur/Angler-killing Path to Exile. Moreover, with both Jund and Abzan putting one representative each in the Top 16, the GP saw no clear winner between the two. This will likely favor the more popular deck, Jund, as we go into October. Following the trends we observed in August, Twin continued to underperform relative to previous GPs and metagame periods. Even if we combined UR Twin (4%), Grixis Twin (4%), and Temu Twin (2%) into one URx Twin super-archetype (10%), it would still be only the third most-played deck at the tournament. That said, Twin had a very respectable T8/T16 showing, with two pilots at 15th and 16th and a third getting 2nd place, so I wouldn’t count Deceiver Exarch out of the fight just yet. As in the August breakdown, however, there’s no clear frontrunner Twin deck. If you’re a Twin player, don’t be afraid to try a new version to see how it fits in the metagame. If you’re a Twin opponent, don’t metagame too hard for one over the other. There’s a bunch of other takeaways to pull from the above table (for example, Amulet Bloom’s presence and Grishoalbrand’s absence, or the preference for Naya Company/Elves over Abzan Company), but these are some of the bigger ones to think about as you head into the end of September. With these in mind, I want to drill down on three specific conclusions out of GP Oklahoma City that I think will shape the format in the coming months. If you read my Worlds 2015 retrospective, this header should look familiar. If you didn’t, you might be one of the people at GP Oklahoma City who thought your 2-3 Kolaghan’s Commands were enough to stop the Arcbound Ravager in the room. In many respects, Oklahoma saw a repeat of what happened at Seattle back in August. Some players tried to get fancy with all their Collected Company shenanigans and Abbot of Keral Keep trickery. Others tried to metagame too heavily against Grixis Control decks and, to a lesser extent, Jund. Others still were too heavily invested in their own Grixis and Jund shells, putting (too much) faith in the BR Command hype train (particularly when paired with Snapcaster Mage in Grixis). All of these players made smart metagame decisions and innovative deck choices, and almost all of them were run over by Affinity. Don’t be fooled by the single copy of Affinity in the Top 8 (a beautiful Hangarback Walker, Thoughtcastless machine by Joseph Reiter). Affinity had 25 pilots on Day 2 before sending five of them to the Top 32. That’s a commendable conversion rate for such a widely-played deck, and a perfect match between Day 2 and Top 32 representation (15% and 16% respectively). Affinity was also the most-played deck at Worlds, a dominating deck in August, and is en route to being the most-played deck of September. If we’ve learned anything from Worlds and GP Oklahoma City, let it be this: Affinity demands a dedicated series of hate slots. This doesn’t need to be a Hurkyl’s Recall playset that you are never going to use outside of the matchup. It should, however, be a diverse set of 4-5 cards that kill the Affinity matchup while also having relevance elsewhere: Ancient Grudge, Suppression Field, and, of course, Stony Silence all come to mind. Kolaghan’s Command is insufficient. Heck, even Snapcaster and Command together aren’t enough to stop the modular, infectious, battle-crying hordes. Ari Lax wrote a premium article covering this back in June, where he discussed the relative weakness of Kolaghan’s Command against Affinity and how other deck/format shifts would keep the artifacts on top. This is truer today than it was after the SCG Open in Baltimore, and I expect to see even more Affinity on top until players start respecting the deck more. As an added bonus, your Affinity hate will give you game in random matchups like RG Tron and the much-loved, much-hated Lantern Control. I promise I’ll talk about Lantern Control before this article is over, but before we praise Zac’s finish we need to put that finish in context. Lantern Control might have been the breakout deck at the GP, or at least the deck everyone will remember, but the deck I am most impressed with is Brian Braun-Duin’s UR Twin list. GP Oklahoma City players rocked crazy cards like Ghoulcaller’s Bell, returned to old brokenness in Summer Bloom, or tried to speed things up a few notches with Burning-Tree Emissary. Meanwhile, BBD was playing a UR Twin pile so old and boring that it might as well have been a netdecked version of either Dan Lanthier’s GP Vancouver build or Antonio Del Moral Leon’s list from PT Fate Reforged. Which is also to say, it was an excellent metagame call by the veteran BBD, or at least by Sam Pardee who helped BBD decide on his final deck. BBD took an established pillar (UR Twin) and upgraded it with tech for the current metagame (the three maindecked Dispels and not one but two Desolate Lighthouses are beautiful). This approach got him a second place finish and is the same approach we saw in Jasper Johnson-Epstein’s Burn deck, who was the first seed going into the Top 8 before an ugly mulligan sealed a loss to Elsik’s Lantern Control. For me, “trusting in format pillars” means two things. First, it means you, like BBD, can always fallback to a big four deck (UR Twin, Affinity, Burn, and Jund/Abzan) when you don’t know what else to play. You’ll need some baseline knowledge of the deck and its matchups, but you can rely on these pillars having what it takes to get you to the top on raw power alone. Finishes like BBD’s or Johnson-Epstein’s, not to mention all that darn Affinity, should cement the importance of these decks. A lot of us look at metagame breakdowns and assume high-prevalence decks are tier 1 based purely on popularity, not on performance. GP Oklahoma City Dispels that narrative, showing yet again that these decks really do have what it takes to get you to the top. Format pillars might not be the “best” metagame choice at any given moment, but they are often “good enough” assuming you have the gameplay skills and metagame knowledge to fill in the gaps. The second meaning behind “trusting in format pillars” is that you will often play against these decks, particularly at a Grand Prix. We’ll always attend the occasional FNM, PPTQ, or WMCQ-style event where we prepare for a tier 1 Affinity deck and play nothing but weird Allies, Slivers, and Goblins brews all day long. To some extent, you’ll also see that on Day 1 at a Grand Prix. Come Day 2, however, and it’s time to roll up the sleeves and put on your big boy pants because the format pillars are coming back in force. You’ll also see this in the Top 8 at the smaller events although, again, it’s not a given. All of this means you need to know how your deck matches up against these pillars, and that you need to prepare for these matchups with the right cards. That said, as a related point, don’t over-prepare at the expense of other matchups. Boarding in 3-4 Torpor Orb will certainly wreck Twin’s day, but then you lose your complaining rights when you “only had room for” a few anti-Burn cards: what else do you expect when you commit so heavily to narrow cards like Orb? Overall, knowing your format pillars gives you fallback options in unknown metagames and prepares you for inevitable matchups at higher tables. It’s up to you to gain that comfort. Back in the summer of 2013, I tested a weird prison deck and reported my findings to its thread on the MTG Salvation forums. I liked the deck, was impressed with its matchups against a few key decks like Jeskai Control and Melira Pod (remember when those matchups were format benchmarks? ), and overall thought it could see some game in the future. What I didn’t know was that a dedicated core of brewers, testers, tuners, and players had been secretly mastering the ins and outs of Lantern Control for over two years since I first came across the deck. Zac Elsik, aka Shadowgripper on MTGS, was one of those players, and their shared (and individual) knowledge and experience paid off big when Elsik stormed GP Oklahoma City with a Lantern of Insight in one hand and a Ghoulcaller’s Bell in the other. For many players, it was a sign that Lantern Control was the next tier 1 deck, the true coming of control to Modern (those proactive Grixis Control chumps don’t count), and even a bannable force that could ruin the format. Although the deck is certainly strong, and certainly stronger than many realized for years, its GP Oklahoma City win was not so much a testament to the deck itself as it was a testament to the deck’s pilot. Elsik, who had already cracked the Top 16 at Charlotte with the deck earlier in the summer, was so confident in his deck and its card choices that he played an identical maindeck a few months later at Oklahoma City. We’ve all heard the Modern adage before: it’s more important to play a deck you know than it is to play a deck that is “good” in the metagame. This only takes you so far (ask anyone who tried to stick with Storm during Deathrite Shaman‘s reign), but Elsik’s finish is a great example of this wisdom in action. As we saw time and time again on camera, Elsik understood both his own play trees and his opponents’, which gave him an edge in all those matchups. Elsik knew exactly what he was doing and what his opponent was doing. The other player? It was like watching Justin Cohen’s PT Fate Reforged run with Amulet Bloom all over again. Opponents countered, discarded, and killed the wrong cards. They spent their resources the wrong way, not knowing what Elsik could draw or do with his board state. This advantage will certainly diminish with time, as it did in Amulet Bloom’s case with the surge of Blood Moons, but it served Elsik well in the event. The closer you can come to mastering a deck, the better you will do with it in the long run at tournaments. Bonus points if it’s good in the metagame, and bonus points again if it’s so unknown that people won’t know how to beat it. Do you need to play a rogue deck? Absolutely not: just ask Brad Nelson, BGx master himself, who couldn’t have played a more traditional Jund list en route to 10th place. Mastery itself is important, but it can only help if your opponents lack mastery in the matchup. Lantern Control is unlikely to get any higher than tier 2, but I hope its success encourages other players to try out their own pet decks (Faeries, Smallpox Loam, Restore Balance, Esper Control, and others all come to mind). As both the Day 2 and the Top 32 show, Modern remains an incredibly diverse format, and not just in the same rhetorically-charged way Wizards always says it at the beginning of Modern-themed articles. We have legitimate format diversity in archetype, color, and individual decks. Indeed, we might have too much diversity for some players’ liking, and Affinity’s success in recent months is probably attributable to this: when deciding on sideboard slots, those Stony Silences are a tempting cut. I expect this diversity to continue for the rest of the year, especially if the BFZ spoilers give some added power to existing decks like the established RG Tron or the upstart Allies. What were some of your takeaways from the GP? Any breakout performances I missed that you think should have been included? Any interesting observations from the data? Take it to the comments and I’m excited to join you next week with some BFZ coverage! It’s a cool deck and a great finish, but it’s hard to read too much into it because it could be an isolated event. At least Lantern Control had a few other T16 performances throughout the summer, giving us some context around the deck’s power. Modern Rally Combo has seen a few appearances since June, but we’ll need more data to know for sure about the deck’s power. If nothing else, it’s a great testament to the power of rogue decks in open formats like Modern! I think it is worth nothing that lantern control did take 15th at SCG Charlotte at the beginning of the summer, piloted by the same Zac Elsik. Ali Aintrazi also Top16’d SCG Charlotte with the deck last month. One day it might return! You (or others) will have to keep playing, tuning, and mastering it to know for sure. No no no! Dont incourage that! I’m starting to get into modern, and one of the decks i’ve been researching and testing is Merfolk. So it was really interesting to see Paul Rietzl take a super creature heavy version of the deck straight into Top 8 this last weekend. I wonder though if just running a few more dismembers/interaction or a slightly more similar configuration to recent SCG top finish lists could have given him the same edge, if not slightly better matchups (especially in his Top 8 ELves matchup). Most likely. He was relying on Harbinger of the Tides which is not the most reliable interaction outside of racing situations or tempo matchups. Cutting a few for Vapor Snag or Dismember may have helped some, but Elves is a terrible matchup for Merfolk so it may have made no difference. If I recall correctly, he ran 0 Hibernation in his sideboard. Hibernation is the tech many merfolk players, including myself, pack for matchups like elves. I didn’t get matched with elves at all at OKC and I haven’t playtested the matchup much, so I can’t comment much on it. Reitzl is a hall of famer, so I trust his judgement. Perhaps he felt Elves wasn’t a significant enough deck to dedicate any sideboard tech to. I think that a bit more should be made of the resurgence of Amulet Bloom and Scapeshift. Bloom in particular was dead in the water throughout the summer, so a GP T8 showing is a big deal. Scapeshift had been showing more activity, but even then making T8 at an event this big is very notable, and good for the deck’s future prospects. Another big deal (IMO) is that the Elves deck that made T8 has some very peculiar adjustments in Sylvan Messenger and Lead the Stampede over Chord of Calling and Fauna Shaman. Is this a blip on the radar, or a sign of innovation within the archetype? 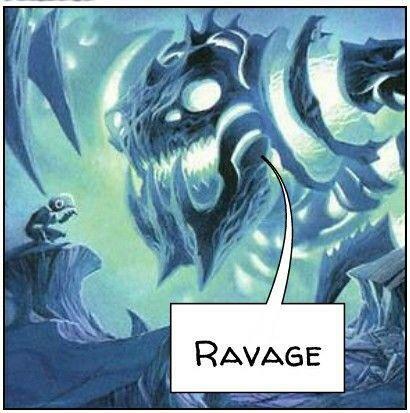 My thoughts on the change in style to elves deck are people are boarding graffdigger’s cage and anger of the God style of boardwipe against them in game 2 and 3, collected company do not help in these scenarios and became dead cards. Lead the stampede and sylvan messenger refill their hand after a boardwipe which give gas. It is a response to the meta sideboard strategy which nullify their sideboard plan. I’m not super surprised about Amulet’s finishes here, nor particularly impressed by its numbers. Amulet will often do well when it’s flying under the radar, and with only half of its few Day 2 pilots making the T32, it’s performing about where I expect. Scapeshift is more interesting because that deck has been largely absent from the top-tiers for a while. I wonder if it can start putting up more numbers with the metagame polarizing around midrange matchups or the creature groundwar. I am a UR storm player, and was wondering, though, do you think that a few Wear//Tears and possibly a Shatterstorm can be enough to fight against affinity? Wear//Tear can be helpful against Twin (they probably keep the combo in against fast decks) and other misc. cards. Plus, Storm’s finishes here are inspiring! I love Modern’s diversity. Theree are certain metas where wear//tear can be good, but it isn’t for affinity. In my storm list, I played 2 shatterstorm as my only sb slots for affinity. You don’t want to be drawn into a grindy game, so one-for-ones aren’t really worth it unless they’re also efficient tempo plays like lightning bolt. Storm is faster in a race anyways, so you don’t have to dedicate too much to the matchup. Shatterstorm is great against Affinity, but Wear/Tear is almost never enough. You’d be better off splashing green and just going with Grudge at that point. Bolt should also be enough to buy you the 1-2 turns needed to combo off. Between Shatterstorm and Bolt in the board (plus maybe 1-2 Grudge if you really want the splash, which I don’t necessarily advise), you should be okay for that matchup. If it wasn’t for all the hate affinity should be nerfed. Yet can we dedicate 5 sideboard slots to the deck in this more and more diverse format? I think the answer is no. This is why I advocate a cranial plating ban. Comments? Actually affinity are facing a lot of hate. The problem is people are not respecting the deck enough. They have the false illusion that kolaghan’s command is enough or ancient grudge is enough. Affinity worst hate is in white, red and green. If it is your poor match-up and it is popular, dedicating 3-4 sb hate is reasonable. Of course those hate should have splash value. I think beside kolaghan’s command, they could play pyroclasm and such. With these sort of splash hate, you could garner enough card advantage to win them. Bfz have some good creatures that could stop etched champion and could be splash in any colour. I think affinity advantage will reduce once bfz comes in. No bans are needed. Affinity may be a high-performing deck but it’s not dominant. It’s performing right where Jund was earlier in the year, and Twin/Abzan/Burn before that at various points. It’s unfortunate that Modern players see frontrunning decks and immediate think about bans, and I want to move us away from this mentality wherever possible. You don’t need to dedicate 4-5 super narrow slots to the matchup. You do need to have 4-5 slots that are relevant in the matchup with overlapping impact elsewhere. The issue arises in this current metagame where players are relying on Kolaghan’s Command with 1-2 Affinity hate slots. That’s the story of Worlds in a nutshell, and it’s our fault if we can’t adapt. Man, your articles are quite simply amazing. Since I found out about this website, I pretty much redirect most of my attention here; love the modern format and love all the math/statistics/etc. about the format. Really wish you keep it up ! Thanks for the support! You can always expect at least 1 article per week from me, and a few metagame articles every month. There’s a lot of room for Modern to grow with regard to metagame knowledge, and I love doing my small part to help it happen. I am a starting player and I play Affinity, just becuase I love artifacts (damn you Urza!). Even in my limited playing I have been able to remain unbeaten despite my BIG mistakes and sideboard hate. Still, I think relying on bans shows less willigness to adapt and find a way. Soecially now with BFZ I truly fear what might happen to me. The deck is good, but I feel that it is in part becuase nobody in my local meta expected another Affinity player. My situation will change once it happens. The deck is to be respected and I umderstamd why. But I’ll assure you that next year we will drop off again hardly, like this year, until we are forgotten. It just happens. I wouldn’t be too worried about bans. Just because the community is packed with ban maniacs, doesn’t mean Wizards has this problem internally. Indeed, their willingness to let Amulet Bloom and Grishoalbrand survive the last round of bannings proves how consistent, reasonable, and predictable they are as format managers. With all the anti-Affinity hate out there, the format has plenty of police mechanisms to ensure Affinity never takes over.